Time to get your hoodies and sweatshirts out of the closet – Fall began on Friday!! It won’t be long and the leaves will turn into their fantastic fall colors!! I love living where we experience the four seasons – although I could do without the extremes of summer and winter. 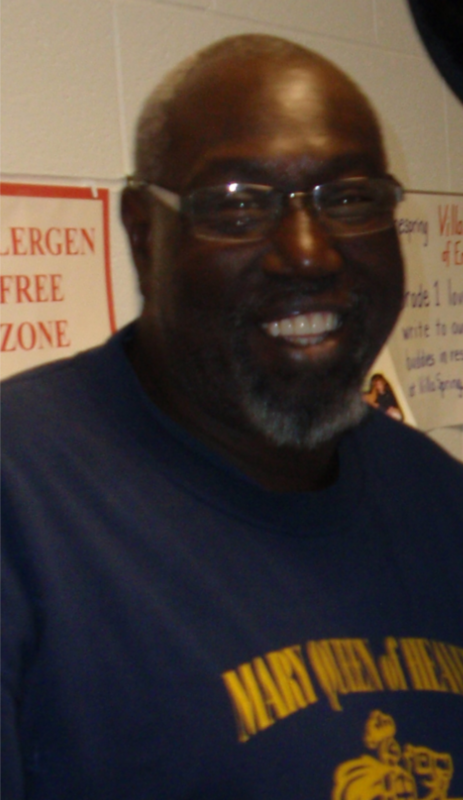 The custodian of our school, Lucius Jackson, had back surgery about 2 weeks ago. It was a serious surgery and his recovery time will be about 6-12 months. I visited him a few days after his surgery and he was in good spirits, but he was in a lot of pain. When he’s released from the hospital he’ll spend a couple weeks in a rehab facility and then he’ll be back home. If you’ve ever seen a truck on campus with Bengals flags on it – that’s Lucius’ truck – he’s a huge Bengals fan. I told him that by the time he gets back to work, the Bengals will be Super Bowl champs!! Please keep Lucius in your prayers during his recovery – our student’s love him and he’ll be greatly missed while he’s gone. There’ll be a new feature starting in this week’s bulletin – two pages each week will be dedicated to our school. One page will be a full-length story on an event or person at MQH written by some of our 7th & 8th grade students. The other page will feature some photos that parents, staff and students submit. Deacon Larry and Bill Croyle (a parent of one of our 8th grade students) are spearheading this project. Bill is a professional writer and he’ll be guiding the students as they’ll be the ones writing the articles. In order to make this project a success we need school parents to please take photos of your child and their classmates at MQH athletic, musical, educational or social events, along with a short description of what’s in the photos (such as who, what, where and when). Please email your photos to . We want to keep you informed of all the fantastic things happening at our school!! Check out this week’s inaugural article – it’s awesome!!! This coming Thursday we celebrate the Feast of the Archangels – St. Michael, St. Gabriel, and St. Raphael. These are the only 3 archangels named in the Bible. St. Michael fights against the forces of evil – it was Michael who had a great war with Satan in heaven and he kicked Satan out of heaven. St. Gabriel is the angel who came to the Blessed Virgin Mary and asked if she would be the mother of Jesus. Gabriel announces God’s will many times throughout the Bible. In the Old Testament, St. Raphael was sent to heal Tobit’s blindness and the name Raphael means “God has healed”. St. Michael, St. Gabriel, St. Raphael, and all the archangels – Pray for us!!! During rush hour on the way home from work, the stop light on the corner of Donaldson and Turfway gets very crowded with cars waiting for the stop light. Sometimes, to try to create a short-cut around the light, cars on Turfway will use our Turfway entrance and cut across our parking lot to get to Donaldson Highway. This has started to become dangerous. Sometimes the cars are traveling fast and it has become a safety concern for our students in aftercare who often play in the parking lot. So, beginning Monday, September 26, the top of the Turfway entrance/exit will be closed off with orange cones from 3pm-6pm Monday through Friday. Both Donaldson entrances/exits will be open during those hours. In case you hadn’t noticed, we’ve doubled our number of handicapped parking spaces – we had 4 and now we have 8. The handicap symbol is painted on the new parking spots and the handicapped signs will be up soon to help mark the spaces.